LIC most trusted Insurance Brand of India has launched Mobile Apps for android phone.This app is called as LICMobile. This app is developed for LIC’s esteemed customers and Marketing personnel. If you are customer of LIC you must install this app on your mobile. This app provides all information about LIC products and services on fingertips.This app also provides options for viewing LIC products, premium calculation, Premium comparison and many more features. 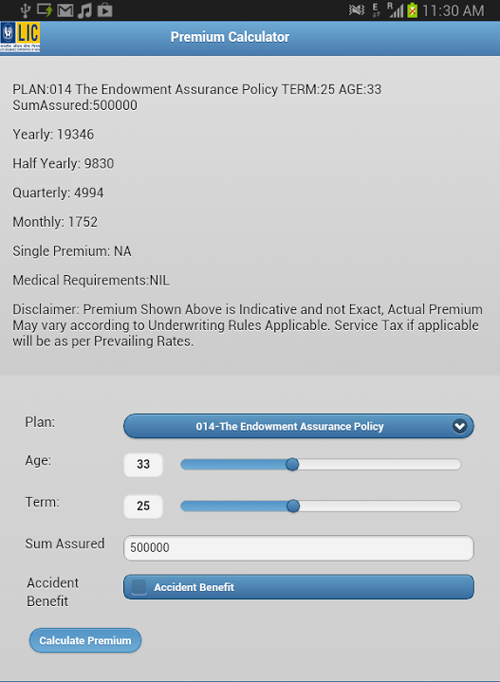 LICMobile provide facility to view all LIC plan at finger tips. You can select any plan like endowment, money back, children plan etc and navigate to plan details and features of specific plan. LICMobile also provide facility to calculate premium online. Just select the plan & age input sum assured and press calculate premium it will instantaneously give you Yearly, Half yearly, Quarterly and monthly premium details. LICMobile provide facility to pay LIC policy premium at fingertips. Just fill policy detail like policy number, premium, DOB, email id and mobile number and you will be directed to payment gateway where you can pay your premium by doing online transaction. LICMobile also provides facility of customer and agent login. Customer can login via app to see enrolled policy, premium payment calendar & old payment transactions. LICMobile gives you facility to get branch details and customer contact information zone wise. 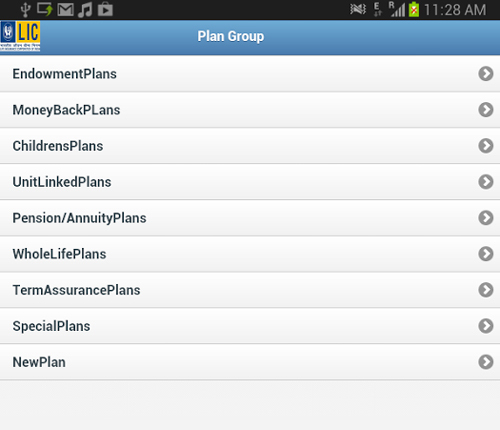 What are you waiting for download this free app of LIC from Google Play. Hope you enjoy reading about LICMobile do share this app detail with your friends and relatives. « 3 Different Investor types – Which is Best? Hi, I am Shitanshu. By Profession I am Engineer and working in the IT field. I am crazy about Finance and like to research on financial matters. I have written 80+ article on this blog. If you like my efforts kindly subscribe to this blog and also let your friends know about this website by sharing.